With the increasing development of social economic, the volume of various waste is becoming a serious problem, so it’s high time that we should take measures to manage these problems. The trash sorting machine developed by Beston Group is mainly used to separate different waste materials out from municipal solid waste to produce recyclable materials. In this way, we can not only deal with the problems caused by waste pollution, but also save more energy. Besides, in general, the handing capacities of the trash sorter machine are different, which usually keep between 100 ton and 400 ton per day. So the trash separation systems can meet different demands of various areas. The rubbish sorting machine produced by Beston Machinery has strictly followed the principle that adheres to sustainable development strategy and utilizes waste to create treasure. 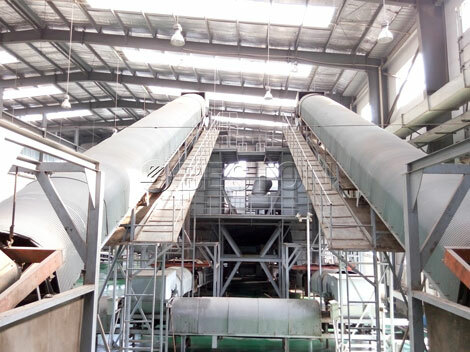 In addition, the trash recycling equipment have a large function in waste treatment, which has integrated the technology and service into a whole. The sorting machine has adopted advanced design concept, top technology, perfect supporting and stable characteristics. 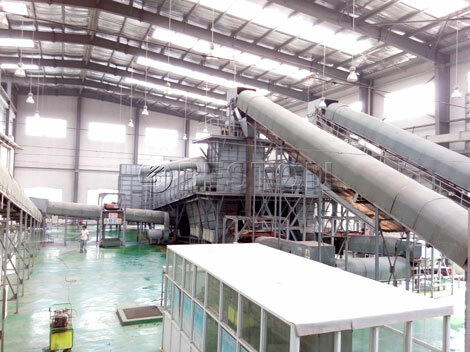 Meanwhile, our machines also have possessed the top-class waste sorting lines and waste compressor, which can also help the waste transfer station realize higher working efficiency, including includes waste collecting, separating, compressing and transferring. 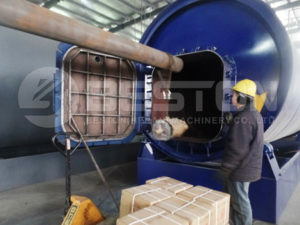 By this method, Beston trash recycling machine can bring more economic, environmental and social benefits to waste transfer station, and also can respond the international concept of recycling economy and sustainable development. This solid waste recycling plant uses a variety of selection machines, through which we could get organic, plastic, metal, brick, stone, etc. with high efficiency. The PLC control system could monitor the whole working process of the line. The sealed deodorizing system as we as the unique aromatic ester spraying deodorant system could keep the bad smell in the workshop away. We’d like to make some changes with the configuration according to the trash component of different locations and countries, to make a safe, environmental friendly and economic trash sorting facility. Through the trash sorting plant, waste treatment can generate social benefits and environmental benefits successfully. At the same time, it can produce pure ecological organic fertilizer; ecological agriculture and green food production base need the pure ecological organic fertilizer and a good ecological environment, which largely promotes the development of economy, the production of GDP and tax subsidies, garbage project expenditure; two projects complement each other, forming a complete industrial chain and the benign interaction, and it can excellently govern the environment as well as economic development.